Car accidents can happen at any time, and they can sometimes happen out of nowhere. Serious accidents can leave victims dealing with injuries for many years, and the impacts of these accidents can be extremely devastating. Accidents can happen anywhere, including in suburban neighborhoods or on backroads. On May 26, the Boston Police Department received a report about a two-vehicle accident. Minor injuries were reported, and emergency personnel arrived on the scene shortly after receiving the call around 2 in the morning. The incident occurred on 29 Glenham Street. Officer Anthony Puopolo was the first to arrive, and other first responders arrived shortly afterwards to help him secure the scene and help those involved. Medical care was administered to at least one victim, but the extent of the injuries is still being determined. However, no fatalities were reported. Vehicle accidents can sometimes be quite serious. While thankfully most car accidents do no result in severe injuries, there are some that do. Since this is always a risk, it is important for all drivers to remain vigilant and follow the rules of the road at all times. 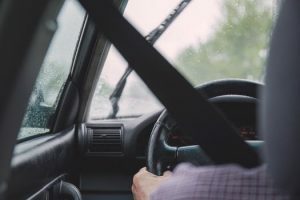 While accidents cannot be completely avoided, safe driving can reduce the risk of an accident occurring. Negligent driving puts everyone in danger. As committed members of our community, we also drive on these roads daily. We want our roads to be safe for all who use them, so we were committed to raising awareness of the importance of safe driving. At the Law Offices of Jeffrey S. Glassman, we are committed to helping make our roads safe. We know, however, that accidents do happen. As such, we are also here to help victims receive the assistance they need to recover and move forward.